Strangely enough, she did not share in the 1991 Pritzker Prize; it was awarded just to Robert Venturi. 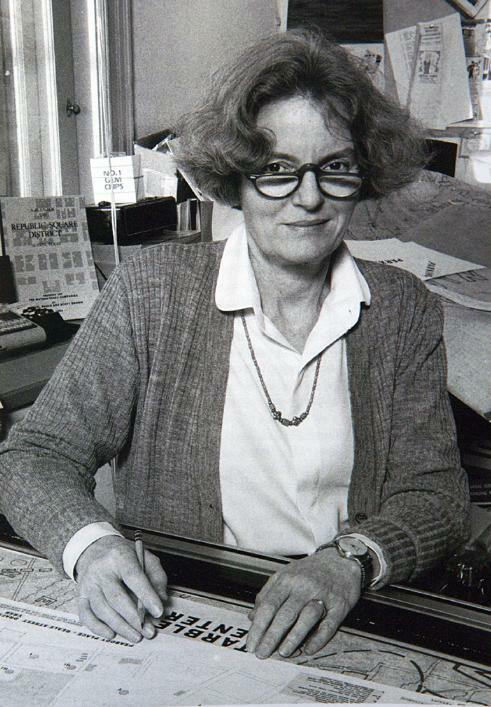 But anyone who is really familiar with the architectural work of their design office in Philadelphia knows that the name of Denise Scott Brown is not on the letterhead for nothing. The profession, and in particular the prize-giving bodies, aimed as they are at unique artistic achievements of 'brilliant' individuals, generally have little interest in the social dimensions of design, and so Scott Brown's speciality, the converting of historical and sociological research into concrete design strategies and developing the methodology of that research in the direction of practice, is destined to remain in the background. The same goes even more so for her work in urban planning and development. Scott Brown has published numerous studies about morphology and American city planning. She is interested in the mutual relationships between the various material and social ingredients of the design process. The professional world, concentrated as it is on matchless projects, finds it difficult to perceive these connections, however much Scott Brown, in her own words a 'philosopher of action', wants to apply her sociological knowledge practically in concrete cases. Scott Brown's speciality is crucial to the way the studio approaches the design process, where what comes first is to pay attention to the effect that forms have for various segments of the public. It is also vital for the worldwide intellectual significance attributed to the bureau since their triumphal progress began with the publication of Complexity and Contradiction in Architecture (1966) and Learning from Las Vegas (1972). 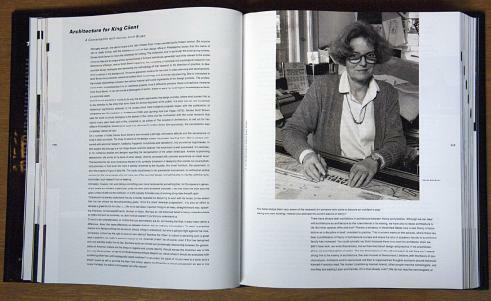 Denise Scott Brown sees her work as strictly belonging to the domain of the visible, but her involvement with the social research that has for many years been part of this prompted us, as editors of The Invisible in Architecture, to set out for her office in Philadelphia, situated (how could it be otherwise?) on Main Street. Not surprisingly, the conversation was completely 'almost all right'. On a number of fronts Denise Scott's work reveals a strongly affirmative attitude and the acceptance of today's faits accomplis. The titles of several of her essays contain the phrase 'learning from'. She is always concerned with empirical research, fuelled by Popperian 'conjectures and refutations', into provisional hypotheses. In this respect she belongs to a rich Anglo-Saxon scientific tradition. Her empiricism is well expressed, for example, in her numerous studies and designs regarding the reorganisation of the urban landscape. Averse to planning abstractions, she works at the level of urban design, directly connected with concrete experience at street level. That explains too her ever-increasing interest in the symbolic dimension of designing that stands out so emphatically precisely at that level. Her field of activity is formed by the facades, the street furniture, the pavement, in short the empire of signs of daily life. This leads straightaway to her great social involvement, for without an active concern for the actual people who will make use of the executed design, and will be able to identify with the symbolic order, such research has no meaning.